During the school holidays in January, PADI Master Instructor, Marc Thompson conducted a number of PADI Bubblemaker programs with local children to introduce them to the underwater world and help them to gain an intimate appreciation of the delicate and critical marine environment that surrounds the Australian coastline. 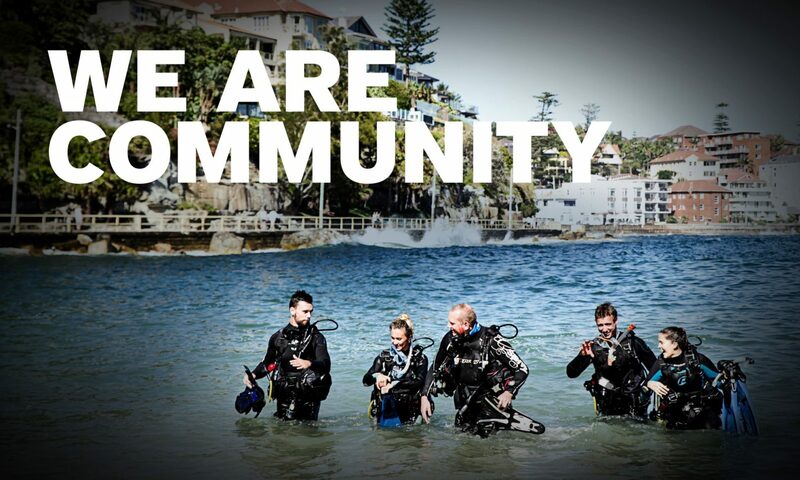 Marc first introduced local children aged from 8 to 12 years to diving at Clovelly in the Eastern suburbs of Sydney. These first students formed the founding members of the Clovelly Kids Dive Club (CK-DC) est. 2014. Clovelly Bay is a part of the Bronte-Coogee aquatic reserve and many local children spend a large part of their childhood in the waters and rock ledges surrounding Clovelly Beach and the adjoining Gordon’s Bay….home to the famous underwater nature trail. The next adventure took them to the beautiful and protected Boat Harbour in Bendalong located on the South Coast of NSW. It was here that the CK-DC recruited its next 5 members to experience SCUBA. The club members thought it was a great idea to make a pledge that every time they dived, they would make certain to learn one interesting fact about the environment they had dived in – AND to share what they had learned with at least one other person. With this inspiring concept, the CK-DC now totalling 16 members, decided to make their pledge a part of the club’s constitution! The conditions in Boat Harbour offered perfect swimming pool like conditions and gave them the opportunity to get up close and personal with the resident Bull Rays that inhabit this beautiful bay. With perfectly flat sand banks, zero surge or current, you couldn’t ask for a better location for the first introduction to SCUBA. The parents of the CK-DC were now asking what age their kids could be certified, and about Bubblemaker birthday parties – and if kids AND parents could experience diving together. That night around the dinner table, the discussion was about dive destinations and holiday locations around the world where family diving is a key activity, and of course, as the kids drifted off to bed one at a time, the occasional, slightly exaggerated shark encounter story too! My two daughters oined the CK-DC in Bendalong. Its an experience they haven’t stopped talking about since. Marc was an excellent teacher and I know they can’t wait to do it again! At Bendalong, Marc introduced my kids to diving in such a friendly and educational way that they haven’t stopped talking about it since. It was one of those moments in life that you never forget. The kids have a new found respect for sharks and don’t have a fear of them now. Awesome experience for all. Cheers Marc. Andy Massey and family.